At the core of the Ebeemee Snowmobile Club is a dedicated group of volunteers. Our members are deeply committed and passionate about supporting the sport of snowmobiling in the great state of Maine. This is demonstrated through their remarkable efforts in support of the club. From the countless man hours spent on trail maintenance and grooming, to the club’s outreach efforts to educate and ensure riders are enjoying the sport safely and in compliance with all rules and regulations. 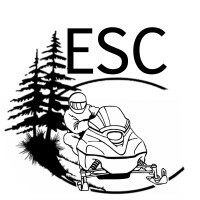 It is through the efforts of the ESC and groups like this, that we all have access to this outstanding recreational activity which is enjoyed by countless families across New England. ESC Members Meeting - We had our end of the year meeting ... along with a changing of the guard and members potluck dinner. A big ESC thank you and shout out to those passing the torch - Doug VanKnowe as president passes the torch on to Laurie Godin as our new ESC president and Doug takes on the VP position. Phil Blanchette after many years of outstanding service as Trail Master steps down into a supporting role while turning over the duties of Trail Master to Traci Hartman. Other positions remain the same. We are developing a committee to head up our fund raising efforts and look forward to the help of ALL members to be on deck to help. Our club has taken on a huge advance in trail grooming and now we are in need of boosting our financial resources to maintain our current level of operations and to grow as need be. All support is welcome as are donations to the wonderful sport we love.